A young graphic designer fresh out of college in the summer of 1961, Happy has just landed his first job at a wacky advertising firm filled with eccentric creative artists. Everything is going great until Happy is assigned to design a newspaper ad recruiting participants for an experiment in the Yale Psychology Department. Happy can't resist responding to the ad himself. Lizet, a daughter of Cuban immigrants and the first in her family to graduate from high school, secretly applies and is accepted to an ultra-elite college. 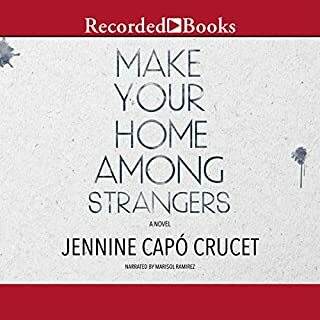 Her parents are furious at her decision to leave Miami, and amid a painful divorce, her father sells her childhood home, leaving Lizet, her mother, and older sister, a newly single mom, without a steady income and scrambling for a place to live. 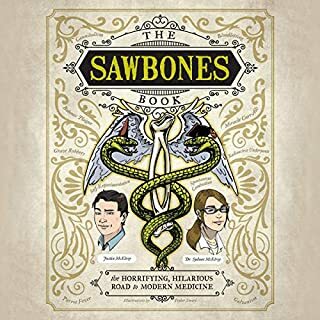 Jason Fitger is a beleaguered professor of creative writing and literature at Payne University, a small and not very distinguished liberal arts college in the midwest. His department is facing draconian cuts and squalid quarters, while one floor above them the Economics Department is getting lavishly remodeled offices. 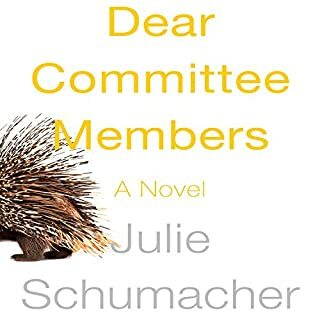 His once-promising writing career is in the doldrums, as is his romantic life, in part as the result of his unwise use of his private affairs for his novels. The average American produces 102 tons of garbage across a lifetime, and $50 billion in squandered riches are rolled to the curb each year. But our bins are just the starting point for a strange, impressive, mysterious, and costly journey that may also represent the greatest untapped opportunity of the century. 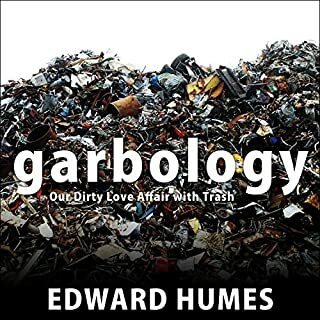 In Garbology, Edward Humes investigates trash - what's in it; how much we pay for it; how we manage to create so much of it; and how some families, communities, and even nations are finding a way back from waste to discover a new kind of prosperity. 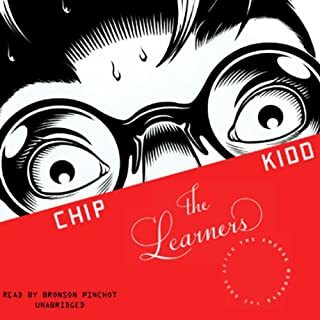 Chip Kidd's witty and effervescent coming-of-age novel can only be described as a portrait of the designer as a young man. It's 1957, long before computers have replaced the skillful eye and hand, and our narrator at State U is determined to major in Art. After several risible false starts, he ends up by accident in a new class called "Introduction to Graphic Design," taught by the enigmatic professor-guru Winter Sorbeck - equal parts genius, seducer, and sadist. Sorbeck is a bitter yet fascinating man whose assignments hurl his charges through a gauntlet of humiliation and heartache, shame and triumph, ego-bashing and enlightenment. 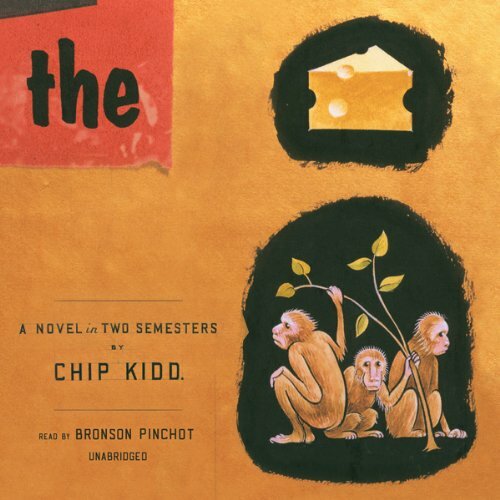 By the end of The Cheese Monkeys, the members of Art 127 will never see the world the same way again. And, thanks to Chip Kidd's insights into the secrets of graphic design, neither will you. ©2001 Charles Kidd (P)2009 Blackstone Audio, Inc.
the book seemed interesting, but the narrator made this absolutely unpalatable with his obnoxious, over-exaggerated voice acting with dialogues. even though the book was started to get interesting after an hour, i just had to stop listening before i stuck an icepick in my ear. i think i'll just finish this on hard copy. This is a highly entertaining story about an artist's freshman year in the late 50's. The humor takes on its own personality through the performance of Bronson Pinchot. For some reason, one of the main female characters, the narrator's quasi-love-interest, is characterized with an odd Mr. Howell voice (that's Mr Howell of Gilligan's Island). 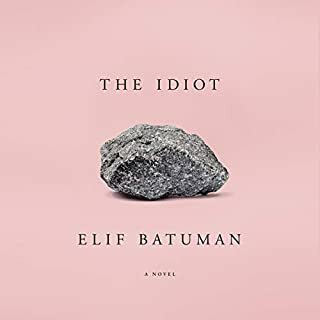 I recommend this story to anyone who enjoys depraved, oddball comedy, and who enjoys a story about an artist learning to challenge everything he's ever been taught. Wow! Too good to turn away. Quick read and hilarious! Great! Love it! What's next?